09/07/2008 -  CHICAGO SHAMROX: Traded their 65th overall selection in the 2008 Entry Draft to the Buffalo Bandits in exchange for the 75th and 76th overall selections in the 2008 Entry Draft. 09/07/2008 -  BOSTON BLAZERS: Traded John Gallant to the Colorado Mammoth in exchange for Jason Bloom and the 56th overall selection in the 2008 Entry Draft. 09/07/2008 -  CHICAGO SHAMROX: Traded the 52nd overall selection in the 2008 Entry Draft to the Boston Blazers in exchange for a fourth round (Boston's) selection in the 2009 Entry Draft. 09/07/2008 -  CALGARY ROUGHNECKS: Traded their fourth round selection in the 2009 Entry Draft to the Boston Blazers in exchange for the 50th overall selection in the 2008 Entry Draft. 09/07/2008 -  BOSTON BLAZERS: Traded their fourth round selection in the 2009 Entry Draft to the Buffalo Bandits in exchange for the 44th overall selection in the 2008 Entry Draft. 09/07/2008 -  EDMONTON RUSH: Traded the 8th overall selection in the 2008 Entry Draft to the Minnesota Swarm in exchange for Andrew Biers and the 10th overall selection in the 2008 Entry Draft. 09/07/2008 -  SAN JOSE STEALTH: Traded Luke Wiles to the Toronto Rock in exchange for the 5th overall selection overall in the 2008 Entry Draft. 09/07/2008 -  TORONTO ROCK: Traded Aaron Wilson and their first round selection in the 2009 Entry Draft to the Rochester Knighthawks in exchange for Stephen Hoar and the 5th overall selection in the 2008 Entry Draft. 09/04/2008 -  CALGARY ROUGHNECKS: Traded the 7th overall selection in the 2008 Entry Draft to the Colorado Mammoth in exchange for the 15th and 20th overall selections in the 2008 Entry Draft. 08/29/2008 -  SAN JOSE STEALTH: Traded Anthony Cosmo to the Chicago Shamrox in exchange for Matt Roik and their first round selection in the 2008 Entry Draft and their first round selection in the 2009 Entry Draft. 07/24/2008 -  EDMONTON RUSH: Trade Mac Allen to the Rochester Knighthawks. Allen was the player to be named later in the June 30th, 2008 trade between the two clubs. 07/08/2008 -  CALGARY ROUGHNECKS: Traded Steve Dietrich and a first round selection in the 2008 Entry Draft to the Edmonton Rush in exchange for Matt King, Kris Hartzell and a first round selection in the 2008 Entry Draft. 07/01/2008 -  MINNESOTA SWARM: Traded Chris McKay to the Edmonton Rush in exchange for a second round selection in the 2008 Entry Draft. 06/30/2008 -  EDMONTON RUSH: Traded Troy Bonterre, a third round selection in the 2008 Entry Draft and future considerations to the Rochester Knighthawks in exchange for Lindsay Plunkett and Matt Brown. 03/25/2008 -  EDMONTON RUSH: Traded Chris Gill and their second round selection in the 2008 Entry Draft to Colorado in exchange for their first round selection in the 2008 Entry Draft. 03/25/2008 -  EDMONTON RUSH: Traded Mike Accursi to Buffalo in exchange for Dan Teat, their first round selection in the 2009 Entry Draft and their second round selection in the 2008 Entry Draft. 03/25/2008 -  CALGARY ROUGHNECKS: Traded Lewis Ratcliff and a conditional first or second round selection in the 2009 Entry Draft to Toronto in exchange for Josh Sanderson and their first round selection in the 2008 Entry Draft. 03/05/2008 -  PHILADELPHIA WINGS: Traded Matt Roik, Brad Self, their first round selection in the 2009 Entry Draft and their second round selection in the 2010 Entry Draft to Chicago in exchange for Brandon Miller and a second round selection in the 2008 Entry Draft. 03/05/2008 - [X] CHICAGO SHAMROX: Traded Lindsay Plunkett to the Edmonton Rush in exchange for conditional third round selections in the 2008 Entry Draft and 2009 Entry Draft. 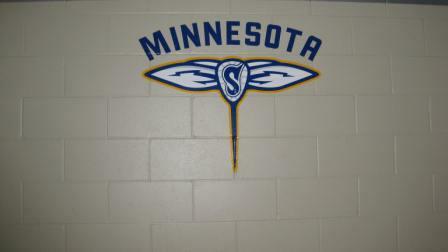 03/05/2008 -  MINNESOTA SWARM: Traded AJ Shannon and their fourth round selection in the 2008 Entry Draft to the Philadelphia Wings in exchange for Keith Cromwell and Dan Marohl. 03/05/2008 -  EDMONTON RUSH: Traded AJ Shannon and a second round selection in the 2009 Entry Draft to the Minnesota Swarm in exchange for Mike Hominuck and a first round selection in the 2008 Entry Draft. 02/29/2008 -  PHILADELPHIA WINGS: Traded Brenden Thenhaus to the Edmonton Rush in exchange for a conditional third round selection in the 2008 Entry Draft. 01/31/2008 -  CHICAGO SHAMROX: Traded Andrew Lazore and Rusty Kruger to the Buffalo Bandits in exchange for their two second round selections in the 2008 Entry Draft. 01/30/2008 -  EDMONTON RUSH: Traded Chris Seller to the Calgary Roughnecks in exchange for their third round selection in the 2008 Entry Draft. 11/26/2007 -  EDMONTON RUSH: Traded their first round selection in the 2008 Entry Draft to San Jose in exchange for Ian Hawksbee. 11/26/2007 -  EDMONTON RUSH: Traded their fourth round selection in the 2008 Entry Draft to Minnesota in exchange for Mike Grimes. 11/05/2007 - [6a] TORONTO ROCK: Traded defenseman Kevin Fines, the sixth overall selection in the Nov. 5, 2007 dispersal draft, and a fifth round selection in the 2008 Entry Draft to Chicago in exchange for defenseman Cam Woods. 10/02/2007 -  BOSTON: Traded forward Scott Stewart to Portland in exchange for their second round selection in the 2008 Entry Draft and a conditional fourth round selection in the 2009 Entry Draft. 09/01/2007 -  BUFFALO BANDITS: Traded the 81st selection in the 2007 Entry Draft to the Arizona Sting in exchange for their 6th round selection in the 2008 Entry Draft. 09/01/2007 -  PHILADELPHIA WINGS: Traded the 60th selection in the 2007 Entry Draft to the Minnesota Swarm in exchange for their 5th round selection in the 2008 Entry Draft. 09/01/2007 -  SAN JOSE STEALTH: Traded their 4th round selection in the 2008 Entry Draft to the Buffalo Bandits in exchange for the 46th selection in the 2007 Entry Draft. 09/01/2007 - [X] CALGARY ROUGHNECKS: Traded their 2nd round selection in the 2008 Entry Draft to the Buffalo Bandits in exchange for the 38th selection in the 2007 Entry Draft. 09/01/2007 - [9a] BUFFALO BANDITS: Traded their 27th selection in the 2007 Entry Draft to the Minnesota Swarm in exchange for their 2nd round selection in the 2008 Entry Draft. 09/01/2007 -  PHILADELPHIA WINGS: Traded their 45th selection in the 2007 Entry Draft and their 2nd round selection in the 2008 Entry Draft to the Edmonton Rush in exchange for the 25th selection in the 2007 Entry Draft. 09/01/2007 -  MINNESOTA SWARM: Traded forward Spencer Martin and defenseman Mike Kilby to the Portland LumberJax in exchange for their 23rd selection in the 2007 Entry Draft and 1st round selection in the 2008 Entry Draft. 09/01/2007 -  MINNESOTA SWARM: Traded forward Brandon Swamp to the Buffalo Bandits in exchange for their 1st round selection in the 2008 Entry Draft. 09/01/2007 - [X] BOSTON: Traded forward Craig Point and defenseman Darren Halls to the Minnesota Swarm in exchange for the 8th and 11th selections in the 2007 Entry Draft, Brock Boyle and their 3rd round selection in the 2008 Entry Draft. 09/01/2007 -  PHILADELPHIA WINGS: Traded their 32nd selection in the 2007 Entry Draft and a conditional 3rd round selection in the 2008 Entry Draft to Boston in exchange for forward Jake Bergey. 09/01/2007 -  SAN JOSE STEALTH: Traded forwards Callum Crawford, Andrew Burkholder, the 12th selection in the 2007 Entry Draft and their 2nd round selection in the 2008 Entry Draft to the Chicago Shamrox in exchange for the 5th selection in the 2007 Entry Draft and defenseman Zach Heffner. 07/24/2007 -  BUFFALO BANDITS: Traded goaltender Steve Dietrich and defenseman Kyle Couling to the Calgary Roughnecks in exchange for their first round selection in the 2007 Entry Draft and their second round selection in the 2008 Entry Draft. 03/20/2007 -  TORONTO ROCK: Traded forward Rusty Kruger to the Chicago Shamrox in exchange for a conditional selection in the 2008 Entry Draft (5th or 4th round selection). 03/14/2007 -  MINNESOTA SWARM: Traded forward Jamie Taylor to the Toronto Rock in exchange for a fourth round selection in the 2008 Entry Draft. (effective March 12, 2007). 02/09/2007 -  PORTLAND LUMBERJAX: Traded defenseman Ryan Sharp to the Minnesota Swarm in exchange for a first round selection in the 2007 Entry Draft, their second round selection in the 2007 Entry Draft and their third round selection in the 2008 Entry Draft. The trade is subject to player passing a physical examination. 02/09/2007 - [X] NEW YORK TITANS: Traded goaltender Curtis Palidwor and a conditional fifth round selection in the 2008 Entry Draft to the Edmonton Rush in exchange for a first round selection in the 2007 Entry Draft. 12/27/2006 -  TORONTO ROCK: Traded Colin Doyle, Darren Halls and their first round selection in the 2007 Entry Draft to the San Jose Stealth, in exchange for Ryan Benesch, Kevin Fines, Chad Thompson and San Jose's first round selections in the 2008 and 2009 Entry Drafts. 10/19/2006 - [2a] ARIZONA STING: Traded Kevin Leveille to the Chicago Shamrox in exchange for a conditional selection in the 2008 Entry Draft. 09/22/2006 -  PORTLAND LUMBERJAX: Traded forward Casey Powell and Greg Peyser to the New York Titans in exchange for Tyler Heavenor and a conditional first round selection in the 2008 Entry Draft. 07/27/2006 - [1a] EDMONTON RUSH: Traded forward Brad Dairon to the Arizona Sting in exchange for a conditional selection in the 2008 Entry Draft. 03/14/2006 -  MINNESOTA SWARM: Traded defenseman Darryl Gibson and their second round selection in the 2007 Entry Draft to the Toronto Rock in exchange for their first round selection in the 2008 Entry Draft and their second round selection in the 2006 Entry Draft.